The community needs to donate 1875 bits to fill the bits meter and start the Beach Ball Sub Giveaway. 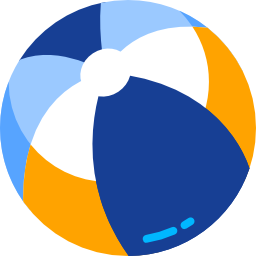 The last bits donator will have 30 seconds to choose someone to pass the beach ball to by typing their name in chat. The person they choose gets a free sub to the stream. The newly chosen person gets to pass the beachball to another person in the chat by typing their name. That new person gets a sub as well. Repeat until all 3 subs have been given away! This can be done multiple times a stream!